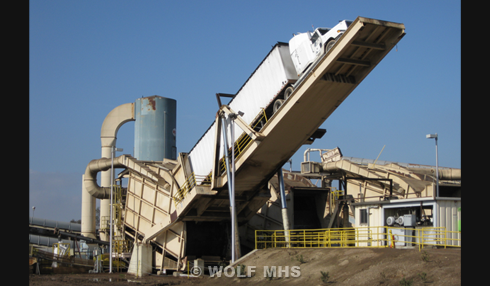 Wolf MHS provides truck dumpers as part of a complete engineered material handling system. The dumpers can be drive over, back-on, over-the-wall, or trailer dumpers. The dumpers can be combined with receiving hoppers, dust collection, truck scales, pit doors, sampling systems, and take-away conveyors.